Every time Apple releases their new iPhone, there always different opinions about it. Some deliver positive feedback, while the others give the negative ones and some even compare it with Android. Indeed, there are many other smartphones with even more interesting features, and many of those smartphones are more affordable than iPhone. For instance, even though iPhone 7 and 7 Plus come with improvements when it comes to battery life, the test result said they cannot beat their top rivals, Samsung Galaxy S7, HTC 10, and LG G5. So, if the battery life is the most important thing for you when buying a smartphone, iPhone 7 or 7 Plus is clearly not the one. When it comes to the camera, iPhone 7 and iPhone 7 Plus have the same specification except for one thing. 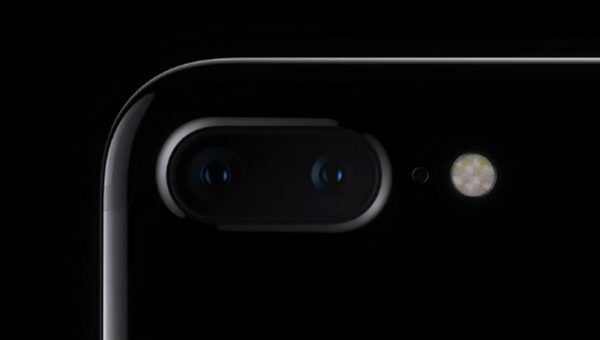 iPhone 7 is not provided with a dual-cameras feature. They have a 12-megapixel that features the Optical Image Stabilizations (OIS), a 28mm wide-angle lens with a f/1.8 aperture, its high-speed sensor is 60 percent faster than its predecessor. Both have four LEDs and a new flicker sensor to get brighter images in low-light situations. iPhone 7 Plus comes with a new interesting feature. It’s a dual-cameras feature. Actually, it’s not too surprising as many smartphones have adopted this feature earlier, including HTC One M8 back in 2014, LG G5, and more. However, a dual-camera feature on iPhone 7 Plus works differently. For example, LG G5 uses its second lens function as a wide-angle camera to get wider views, like landscape photos. 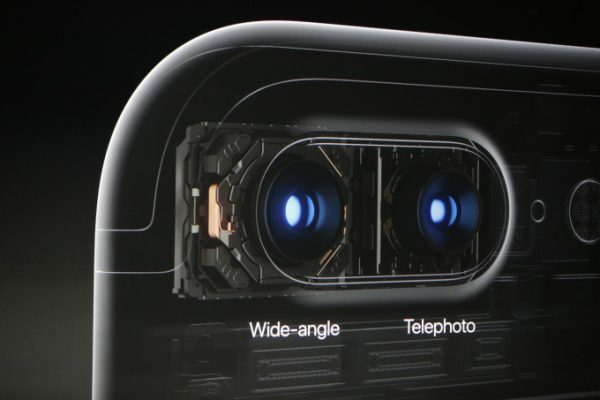 On iPhone 7 Plus, the first lens works as a wide-angle lens and the second one as a telephoto lens with 2X optical zoom. So, you can zoom the photos you have taken without losing any detail. This is fantastic. With the improvement of the other features on the camera, you’ll be able to take photos in depth effects. You can create more than 1 photo with the same photo. Let say you have taken a photo of someone with a flower field as the background. You can keep the original one and create the new photo by zooming on a flower without losing its details. The other good news is the support of RAW image format in a lightroom on iPhone 7 series. So, as an iPhone user, I will say yes for this part. The new camera improvements on iPhone 7 series are impressive. A dual-camera feature on iPhone 7 Plus gives an extra point. If you have more budget, go for iPhone 7 Plus. 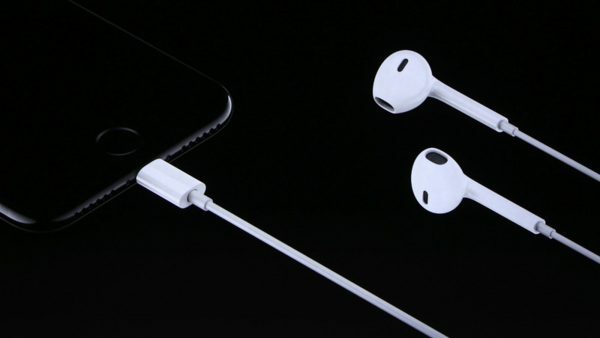 No headphone jack on iPhone 7 and iPhone 7 Plus. Yes or No? This did not come as a surprise as we have heard the rumors before the launch of iPhone 7 and iPhone 7 Plus. 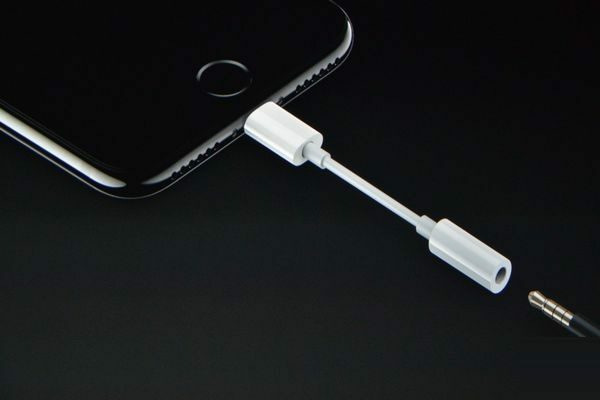 iPhone became the first smartphone without 3.5 mm headphone jack. Is it an innovation or is it a minus point? Some people put no headphone jack feature as one of the iPhone 7 and iPhone 7 Plus disadvantages instead of the plus point. You can connect your earbuds through a lightning port. But, if you used to listen to the music on iPhone while it’s charged, iPhone 7 series won’t allow you to do that. This time, you are forced to leave that habit, otherwise, you can use a wireless headphone that is connected over Bluetooth. If you don’t have that habit, the missing of the headphone jack on iPhone isn’t a big deal. As usual, Apple includes a lightning converter to 3.5 mm headphone jack inside purchasing box. Similar to this situation, back in the time when Apple no longer provided the flash technology on iOS and Safari on the iPhone. This decision appeared as a controversy at first. 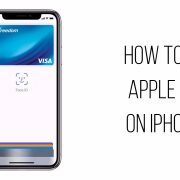 Then, Apple explained that the flash technology is not suitable for mobile devices because it can drain the battery and has a lot of security gaps. 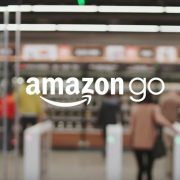 This controversy decision was finally understood and by then many big web platforms started to leave the flash technology. For example, Youtube and Facebook. Regarding Apple latest controversy decision “no headphone jack on the iPhone”, we don’t know yet if other smartphones will finally follow it or no? In my personal opinion, the ffact there is no headphone jack on iPhone 7 and iPhone 7 Plus is not a big problem as I almost never listen to the music on iPhone while it’s charged. 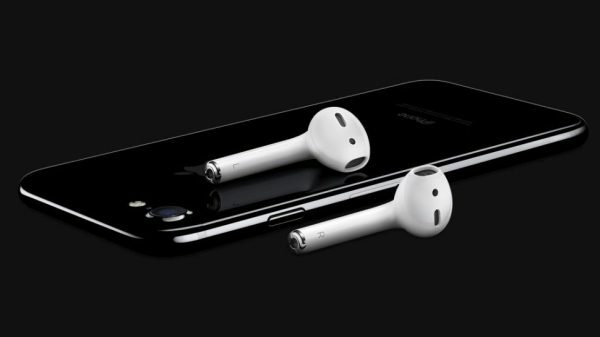 The other new thing on iPhone 7 is a stereo speaker, the feature that has been adopted by Android smartphone for ages. The speakers lie on the earpiece and the bottom next to the lightning port. 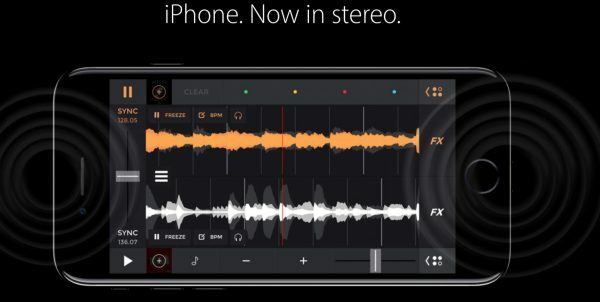 This new feature makes the iPhone produces a better sound compared to its predecessor. Then, the water resistant feature is something waited by many iPhone fans. 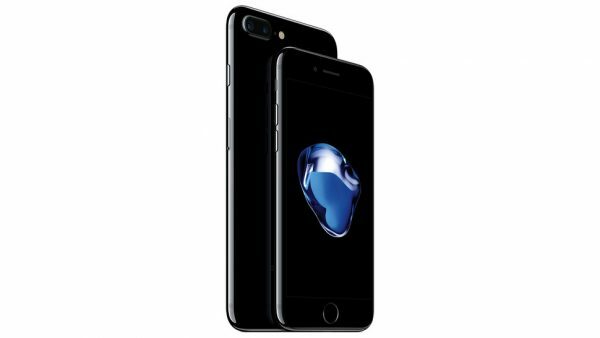 iPhone 7 and iPhone 7 Plus are the first iPhones with a standard IP67 water resistant feature. It makes sure the iPhone works fine in 1-meter water depth up to 30 minutes. You won’t worry anymore typing iMessage under the rain if you are using iPhone 7 series. How about the new color options? 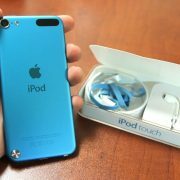 Last year iPhone brought a new color trend in the smartphone world. It was a rose gold color. This year, they will do the same thing. They bring two new colors on their new iPhone series. Matte black and jet black. These two colors are interesting color options for iPhone 7 and iPhone 7 Plus. The jet black has a shining color like a glass, but actually, it’s made of aluminum 7000. It reminds us to iPhone 3G/3GS with glass quality similar to 4/4S. I think the jet black color of iPhone 7 series can become a new color trend this year. I love these color options of iPhone 7 and iPhone 7 Plus. Should I upgrade my device to iPhone 7 or iPhone 7 Plus? For Android users, iPhone 7 series is probably not too interesting. They can get the same or more interesting features on the other premium Android smartphone, like Galaxy S7. Yet, there many Android phones that come with more features and affordable prices. Upgrading to iPhone 7 series for iPhone users depends on what version you have now. If you own iPhone 6S right now, the upgrade won’t be that significant. It is like changing your iPhone 6S to its second version with a bit of upgrade, such as water resistant feature and a better OIS and aperture feature. However, if you are having iPhone 5S or lower version, iPhone 7 and iPhone 7 Plus give you the interesting offers. You will feel the upgrade is more significant, from its performance, battery life, camera – almost everything. Related Posts on iPhone 7 and iPhone 7 Plus – Yes Or No?